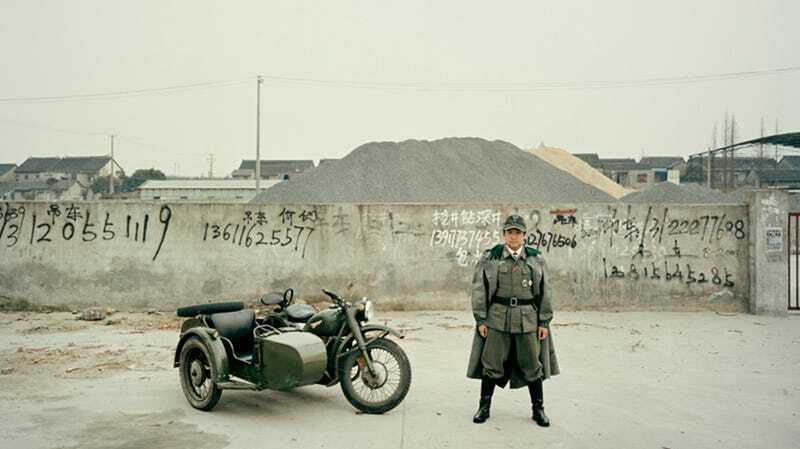 Of Shanghai's 24 million inhabitants, just 250 are supposedly registered sidecar drivers. Photographer Aurelien Chauvaud introduces you to the riders of these badass wartime bikes in this amazingly juxtapositional photo series. My photographic approach is situated between reportage photography and conceptual photography. I wanted to create images that are at the same time portraits and landscapes, which are engrained in reality and in an imaginary. I never interfered with the appearance of the protagonists that I photographed; their bikes, clothes and style are entirely their own.